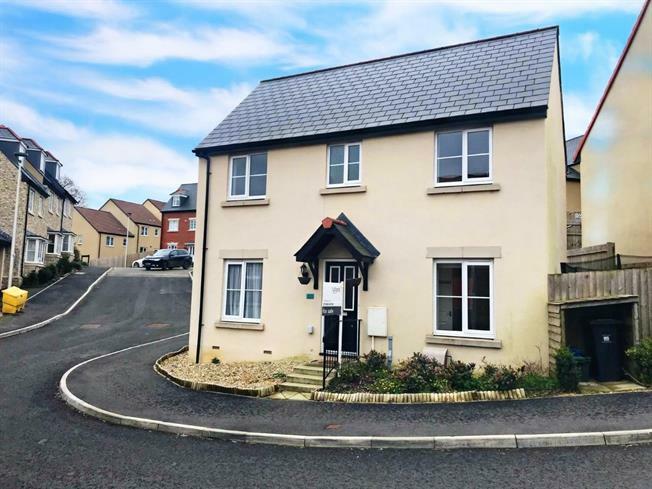 Detached House For Sale in Axminster for Asking Price £235,000. This well proportioned three bedroom detached house is well presented and benefits from two garages. Downstairs the accommodation comprises of a spacious living room, well fitted kitchen/diner, WC and a useful storage cupboard under the stairs. Upstairs are three bedrooms, with en suite to the master bedroom, and a modern family bathroom with a white suite and tiled walls. The garden is full enclosed and mainly laid to lawn, with a pathway that leads to the two garages where there is also off road parking. 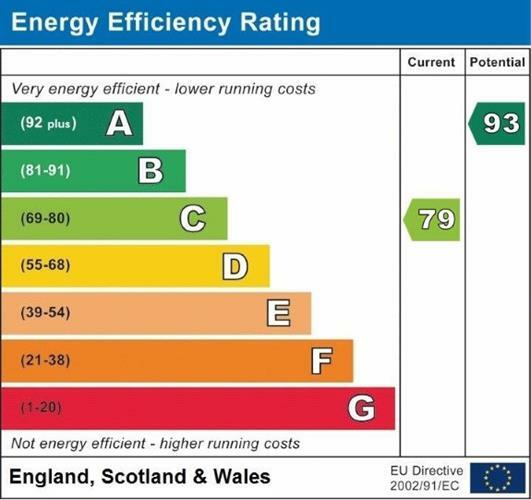 Benefiting from gas central heating, double glazing throughout and the remainder of it's NHBC warranty. White suite comprising low level WC and pedestal wash hand basin. Fitted with a range of wall and base units, with laminate work surfaces and inset one and a half bowl stainless sink with drainer, laminate flooring, space and plumbing for dishwasher and washing machine. Integrated Indesit electric oven and gas hob with extractor above. Wall mounted Ideal Logic gas combi boiler for central heating and hot water. Space for fridge/freezer, breakfast bar, half glazed door leading out to the rear garden, Dual aspect double glazed windows to the front and rear. Dual aspect double glazed windows to the front and rear, french doors to the garden, under stairs cupboard. White suite comprising shower, WC and pedestal wash hand basin. Obscure double glazed window to the rear aspect. Laminate flooring and part tiled walls. White suite comprising panelled bath with mixer tap and shower attachment, WC and pedestal wash hand basin. Obscure double glazed window to the front aspect. The rear garden is fully enclosed and is mainly laid to lawn, with a paved pathway. There is a gate providing access to the road at the front. With two garages, both with private rear pedestrian doors access from the garden and one with power and light.